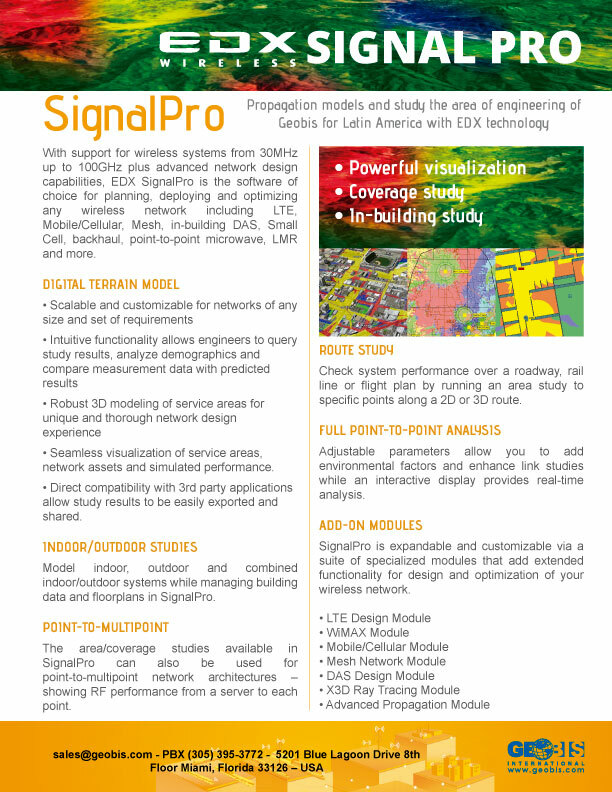 » EDX Signal Pro is a comprehensive general-purpose software package offering a complete set of planning tools for wireless communication systems. » Currently in use by thousands of customers worldwide, SIGNAL is an advanced and economical planning tool for Windows® 98/NT/2000/XP. It can perform multi-site coverage and interference analysis, single-point analysis, route studies, and multiple point-to-point link analysis. » Commercial tools providing ample coverage of discreet sectors. SIGNAL can perform widanalysis for point-to-point microwave or other general radio links. Accordingly, it offers a broad selection of highly e-area coverage prediction and interference analysis. It offers detailed path clearance and reliability accurate propagation models to match your type of service and propagation environment. With SIGNAL, you can create incredibly detailed base maps using street-level vector data, boundary data, scanned map images, aerial photographs, or any other raster image. You can display more than one study or map at a time, drape signal levels over 3D terrain images, or instantly view the terrain profile associated with a point in a coverage or interference study. 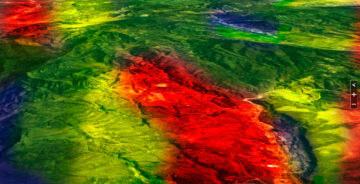 MapInfo Professional v10.0’s new flexible user interface not only greatly improves efficiency and organization, but also increases productivity. The new user interface allows users to dock toolbars on all four sides of the application helping to improve efficiency, reduce screen clutter, and save time.